Originally known as Ask Jeeves, Ask.com is a question answering-focused web search engine. It is a leading Q&A brand responsible for answering billions of user questions over the last 20 years hasn’t gone anywhere. Owned my Microsoft, Bing helps you turn information into action, making it faster and easier to go from searching to doing. Creative Commons will help you find photos, music, text, books, educational material, and more that is free to share or build upon utilizing Creative Commons enabled search services at Google and Flickr. InfoSpace created the Dogpile search engine because your time is important. Powered by Metasearch technology, Dogpile returns all the best results from leading search engines including Google and Yahoo!, so you find what you’re looking for faster. The Internet privacy company that empowers you to seamlessly take control of your personal information online, without any tradeoffs. DuckDuckGo is an Internet search engine that emphasizes protecting searchers' privacy and avoiding the filter bubble of personalized search results. The new private way to search Google - protect your Privacy with Startpage! Startpagec ombines the powerful search results of Google with the strong privacy features of Ixquick, the world's most private search engine. The result is great search results - with total privacy protection! 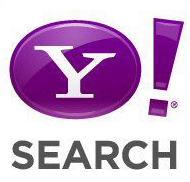 Owned by Yahoo, Yahoo Search is a search engine powered by Bing with selection-based search features called Yahoo Shortcuts. Yippy is a leading search engine providing results and topics for research and discovery. The educators choice for search.